Early in the ZetaTalk saga the Zetas confirmed that the Earth has a Dark Twin, which normally rides exactly opposite the Earth in their shared orbit. Thus perpetually hidden by the Sun, this Earth sized black rock was known only to MJ12, who were taken there for a visit by Service-to-Self aliens during the Roswell era. Due to the Earth being halted in its orbit in 2003 by the presence of Nibiru in its path, the Dark Twin has come up behind the Earth, and is trying to pass behind the Earth at the present time. The fact that the Dark Twin has become visible at all is an example of Zetas Right Again. ZetaTalk Description 4/19/2004: Asteroids regularly take mankind by surprise, appearing for a close pass but unnoticed until they arrive. Magma is black, or dark gray, not a surface that reflects visible light rays. What is it about the color black that makes it dark, unseen? It absorbs light, almost entirely, reflecting little. And as a dead planet, without water, without atmosphere, without vegetation coloration, there is nothing on the Dark Twin to change this. Why does the Dark Twin appear on the horizon, briefly, as a large yellow planet, the color and size changing back and forth to a tiny blue star? These are the colors least absorbed by the twin, thus most reflected. The Dark Twin at times looms large, due to what the Zetas call the Monster effect – light aiming out into space bending back toward the Earth due to its gravity pull. The Monster thus looks larger than it is. In 2010 the Dark Twin displayed in a Monster presentation, and showed surface features. A Monster presentation of Nibiru has frequently been captured on film, one of its many personas. ZetaTalk Explanation 11/16/2003: The Monster Sun is light that has moved in all directions, bent back toward Earth by the gravity trap it represents, from a broad area, so when arriving at the viewer represents a broad orb. The Monster, or Mega-Monster as Nancy likes to call it at times, has also been seen recently by naked eye, astonishing the viewers. This is of course not the actual size of Planet X, and because the light forming the Monster is so readily disbursed, it is a dim persona, always. Now a recent video has again captured the Dark Twin as a Monster. 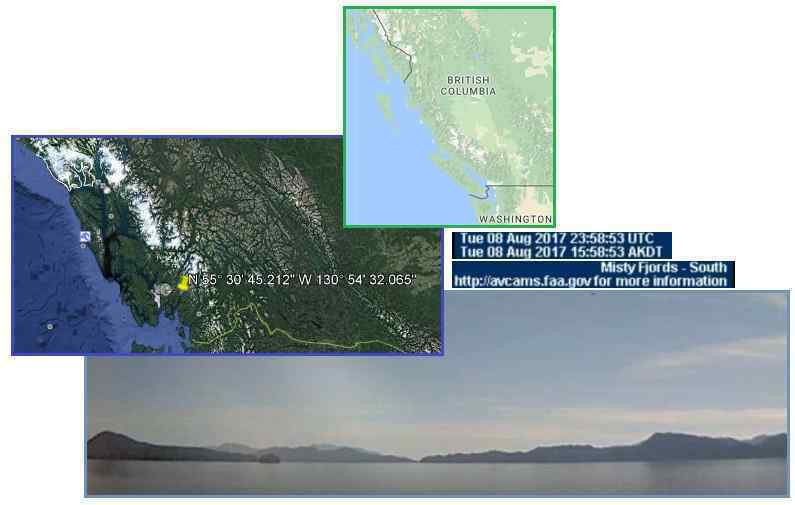 This is on the Jeff P Channel, taken on August 8, 2017 from a cam called Misty Fjords on an island in Canada’s British Columbia, which has a South facing cam that can capture a view of the Dark Twin behind the Earth in their shared orbit on the right hand side of the view. These shots show the capture as 3:38 pm, in the afternoon, as one can see from the shadows on the water. It was also seen naked eye. Once again, clear features on the surface can be seen. Compare the size in the sky to the 2010 capture, and one can see it has come closer, looming larger. The Zetas confirm. ZetaTalk Insight 10/31/2017: The detail features on the surface of the Dark Twin have been captured on film before in 2010, during a Monster persona presentation. The features are more distinct in 2017 as the Dark Twin is pressing up behind the Earth in their shared orbit, trying to drop behind the Earth to pass on the far side away from the Sun and Nibiru. It will not manage this maneuver until the Last Weeks, as we have explained. One can see from this video that the Dark Twin is slowly rotating, counterclockwise, left to right, and shows many impact craters. Without water or atmosphere, there is little to disguise these craters. What is it about the far North that attracts magnetic swirls? There was the Norway swirl in 2009, which the establishment blamed on a Russian rocket. It was not a rocket trail, nor had any such swirl grounding with a blue screw appeared anywhere else, ever! Neon clouds from the greasy tail of Nibiru wafting Earth had been seen around the world, however, along with an increase in lightning displays. ZetaTalk Insight 12/8/2009: What has occurred over Norway is a neon cloud, a grease cloud, lit by the electrical charge from the tail of Planet X. Why the great swirl in the clouds around the swirling neon display? An electrical charge in the sky is not a static matter, as the path of lightning shows. As with all swirls that develop in nature, they start with a small movement in one place that creates a vacuum pulling matter behind it, and thus builds. What occurs at the center of such a charged swirl is more electrical charge than the surrounding swirl, thus the center becomes a neon cloud that can be seen even at night, and wants to discharge, ground, in the Earth. Now another magnetic swirl has been seen and captured on film, in Siberia! 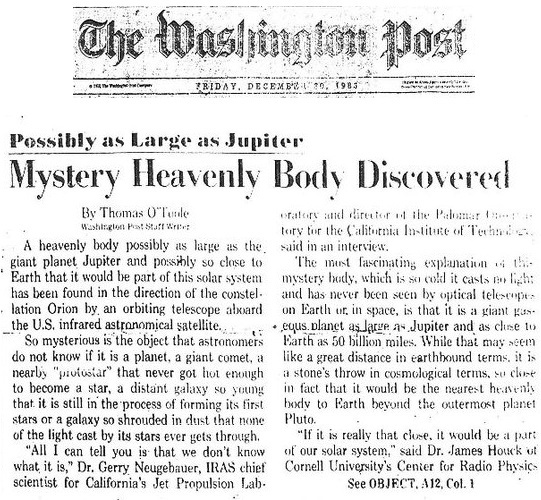 Once again the media lept to state this was due to a Russian rocket, though speculation on whether it was a giant plasma UFO was also bantered about. Consider that citizens in the US have to gather close to Cape Canaveral to see the space shuttle take off, and no rocket trail is seen for more than a few miles. This Siberian magnetic swirl was seen 550 miles to the South, and 520 miles to the East, and neither location was under the test rocket path. Russia has been hit by a wave of reports of a giant UFO in the sky last night with spectacular pictures of an enormous glowing ball illuminating northern Siberia. 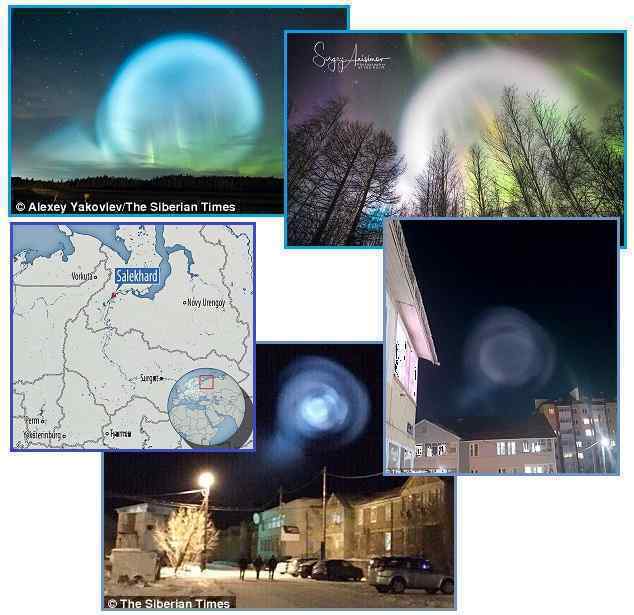 While the source of the light remains unclear, some have suggested that it was the trace of a rocket launched by the Russian military that caused this extraordinary phenomenon in the night sky. Missile tests were underway from submarines and aircraft last night, and the exercises included the launch of a super-powerful Topol rocket from Plesetsk cosmodrome, 550 miles north of Moscow. A giant UFO resembling an enormous glowing ball lit up the night sky, sparking fears of an alien invasion or the end of days. The extraordinary scenes were captured by photographer Sergey Anisimov in the town of Salekhard, which straddles the Arctic Circle. Some 520 miles further east, another photographer, Alexey Yakovlev, admitted feeling scared as he witnessed the UFO in Strezhevoi, in the north of Tomsk region. 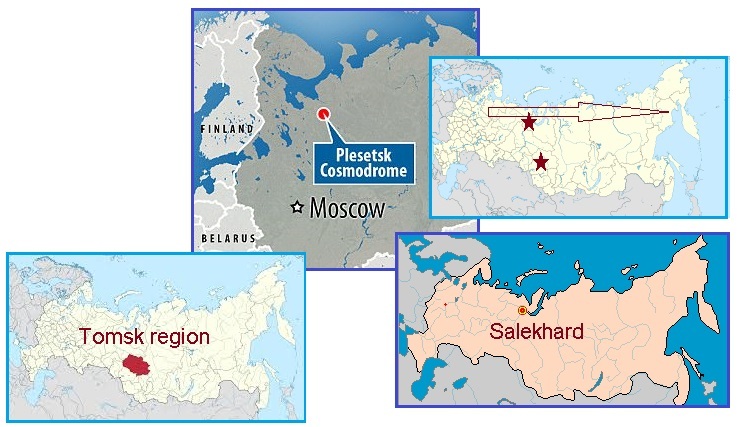 Missiles tests were under way from submarines and aircraft last night, and the exercises included the launch of a super-powerful Topol rocket from Plesetsk cosmodrome, 550 miles north of Moscow. From a mobile launcher, it was successfully aimed at the Kura testing range in Kamchatka on the country's Pacific coast. One thing was certain: Norway, bordering the Arctic Circle, is in the far North. And Siberia is also in the far North. These magnetic neon cloud swirls have also been seen in China, at least once. Why just the Northern Hemisphere, preferably snugged close to the Arctic Circle? The Zetas explain. ZetaTalk Insight 10/31/2017: The Norway swirl in 2009 was blamed on a Russian rocket, which it clearly was not. Nor was the Siberian spiral caused by a rocket. Do such rocket traces appear elsewhere in the world? The Norway swirl had the appearance of a neon balloon, with a bright blue tight spiral grounding in the Earth. This is likewise true of the Siberian neon balloon, which is likewise pale in color and transparent. One can see the bright blue funnel grounding here too. What makes the far North prone to these displays? Nibiru is constantly in the media these days, ever since the media started focusing on the Biblical dates predicted by author David Meade. This was based on a genuine though rare constellation lineup, which appears to be predicted in the Book of Revelations. 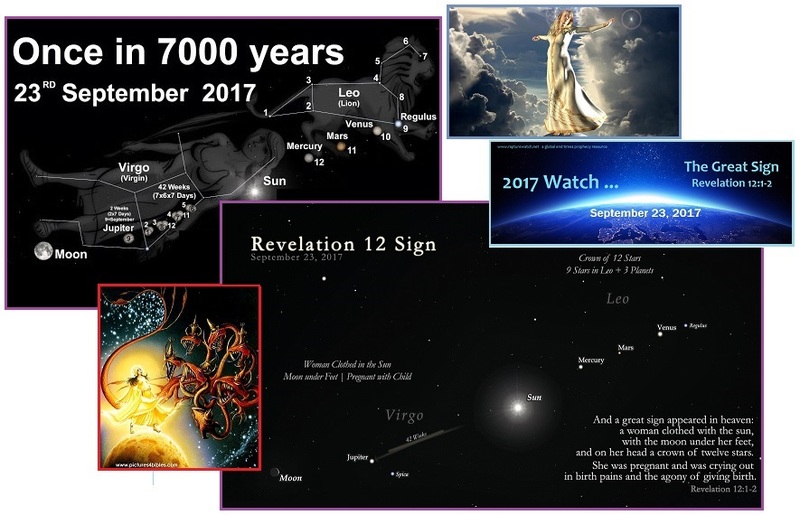 Meade went beyond the September 23, 2017 constellation lineup, and predicted the End of the World on that date. Then this morphed to be an end date in October, and now this has shifted forward to November. Meanwhile, Meade’s book sales and the media coverage, with Nibiru in the title, continue. November 19th will see earthquake Armageddon across huge swathes of the planet as tectonic plates collide and volcanoes erupt, according to a group of astronomers and seismologists. The destruction will hit vulnerable areas all over the world from France and Italy to Alaska and Russia, to the American West Coast, Indonesia and Japan – and loss of life is predicted to be in the millions. The group has been charting the movements of the so-called Black Star, aka Nemesis, Nibiru and Planet X, which they believe is a twin for our own Sun with massive gravitational influence pulling and squeezing the Earth. A group of amateur astronomers has raised the alarm that a swarm of monster earthquakes will strike globally on November 19, 2017, causing worldwide destruction and loss of millions of lives. Nibiru, also known as Planet X, was supposedly set to collide with Earth on September 23rd, causing the end of humanity. The conspiracy theory had gained such momentum online that even NASA was forced to deny it. This time, the scaremongers are claiming that it will create a series of devastating earthquakes on November 19th that could lay waste to planet Earth. These are the same UK news outlets that pushed David Meade’s theories going into September 23, 2017. Now they have added other Nibiru spokespersons and websites, while utterly omitting any mention of ZetaTalk. The increase in earthquakes is noted. 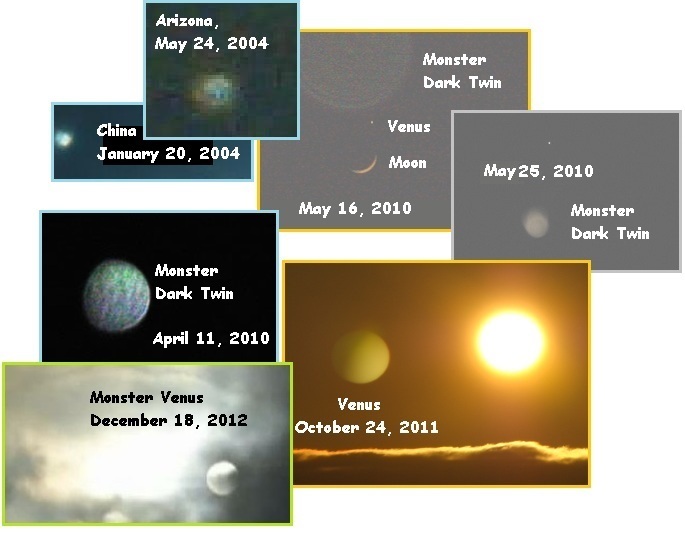 Visibility of Nibiru is shown as a series of photos that include looking into the night sky as well as orbs near the Sun. But as the Zetas pointed out, any mention of Nibiru will lead people to Google this term, and voile they arrive at the ZetaTalk website. 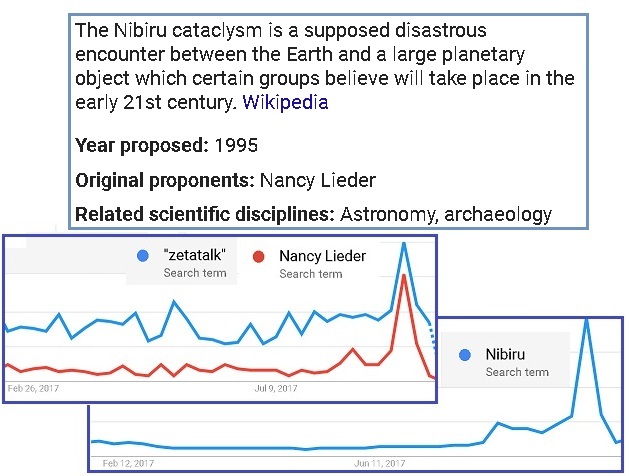 ZetaTalkPrediction;10/31/2017: We stated when the David Meade theory about the September 23 constellation lineup emerged earlier in 2017 that this was designed to discredit the Nibiru theories, but this failed as it only connected the public to ZetaTalk where the truth lay. This was in great part due to the Junta which has run the US since the last years of Obama, as it has forced Google to ensure that the Wiki article featuring Nancy and ZetaTalk be up top in any search. The major media in the West tries to present a diverse face, but is absolutely restricting news, but the truth has many friends, such as Russia, to counteract these maneuvers. Surprisingly, the within the last couple weeks, the media has brought up the subject of a cover-up over Nibiru, accusing the Vatican and the Pope. Very recently the fact that Dr. Harrington has been assassinated was in the media, pointing to the cover-up over Nibiru. These trends are running in parallel with the trend to point to Hillary’s crimes, the Uranium One bribes paid to the Clinton Foundation for the transfer of 20% of US Uranium deposits, and the Russian dossier paid for by Hillary. 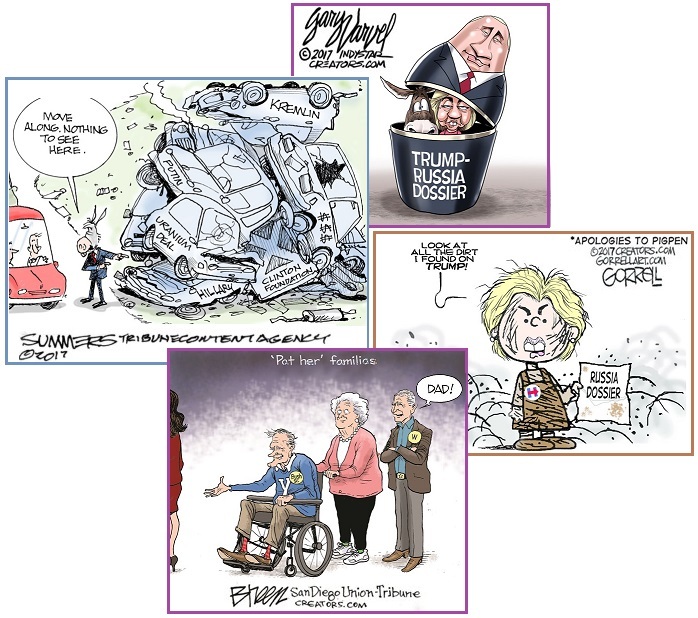 Discrediting Herbert Bush as a dirty old man is also new. Per the Zetas, attacking the Bush and Clinton cabals is to hamstring them if they try to continue the Nibiru cover-up. Pope Francis is aware of the planet known as Nibiru and its powers, and is keeping it a secret from the world. US Nibiru expert, CJ, who declined to reveal his surname, claims the Vatican is among a group of “elite leaders” involved in suppressing information about the planetary system. ZetaTalk Insight 10/31/2017: What is surprising is the number of people getting negative press in media outlets considered leftist, Hillary friendly. The Hillary hugging media was certainly willing to attack a Republican and certainly has tried to attack Trump in the past. Harvey Weinstein is both Jewish and a Hollywood legend, so both would qualify him as a Hillary backer, which he was. Meanwhile, exposing Hillary’s hand in the Uranium One deal is in process. What is the outcome of the exposure of misbehavior in both the Bush and Clinton clans? 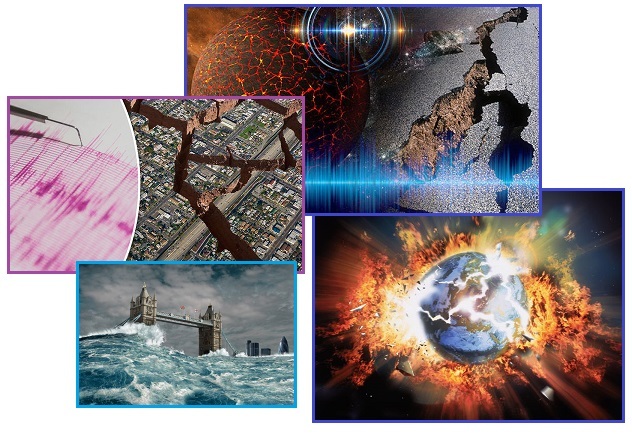 Who is really responsible for the cover-up over Nibiru? The Zetas have stated that it was President Reagan who signed an executive order in 1983, when Nibiru was sighted inbound by the IRAS probes sent aloft. This resulted in a 1983 front page article by the Washington Post. Certainly the cover-up is of interest to more than just the US for National Security reasons. The Vatican has their own agenda. Nibiru Update: Is Vatican aware of the Truth about Planet X? Vatican has been aware of Nibiru's arrival for centuries, as details about the planetary hit were mentioned in the book of Revelation. President Ronald Regan was informed about Nibiru by NASA. But soon he received a call from the Vatican and was forced to sign an agreement not to speak about the planet anymore. The Book of Enoch was pulled from the Bible in the past, because it warned too graphically about signs in the skies. And the Third Secret of Fatima has never been revealed. Pope John Paul III hinting it was about massive drownings. 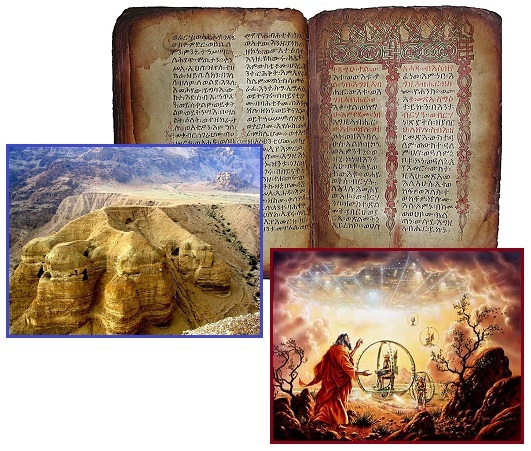 ZetaTalk Comment 5/12/2007: Enoch was one of the books dropped during the re-writing of the Bible that took place early in the last millennium. It was too descriptive of the coming pole shift, and what signs to look for, for the comfort of control freaks who were at the helm of the Christian religion at that time. The Kolbrin, written by the Egyptians and likewise highly descriptive, was also targeted, and only survived because it was written in copper, which did not burn during one of the arson attempts to destroy the Kolbrin. Subsequently taken to New Zeland for protection, the Kolbrin survived. Why did the controlling elite want to prevent the common man from knowing the signs, and the cause of the Earth changes that would beset them? Knowledge is power, and when the Church can use their knowledge to terrorize the common man by claiming special relationship with God, thus their foreknowledge, and can dictate to the common man, increasing their essential slavery by religious edict. Look to the Catholic Church today, which now claims that Hell is a real place where those not following their rules will burn for all eternity. They don't wish to empower man with knowledge, but seek the opposite. 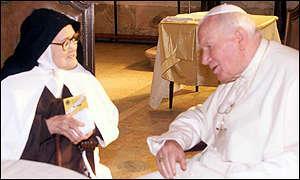 Asked in 1980 why the Secret had yet to be released, Pope John Paul II was asked explicitly to speak about the third secret. He said: Because of the seriousness of its contents, in order not to encourage the world wide power of Communism to carry out certain coups, my predecessors in the chair of Peter have diplomatically preferred to withhold its publication. On the other hand, it should be sufficient for all Christians to know this much: if there is a message in which it is said that the oceans will flood entire sections of the earth; that, from one moment to the other, millions of people will perish... there is no longer any point in really wanting to publish this secret message. ZetaTalk Comment 1/13/2005: Of course, everyone anticipates that the remaining Fatima Secret, known to few except the hierarchy of the Catholic Church and Sister Lucia, who received the vision, will encompass the End Times. The suppression of the remaining Fatima Secret was done for the convenience of the Catholic Church and those who ally with the Church. Just as with the cover-up, where admitting the presence of Planet X in the inner solar system and the likely outcome is inconvenient to those in political and fiscal control of the world, this suppression was done for convenience. You are told business as usual, stay at your jobs, tithe to your Church, remain on the coastlines and crowded into the cities, and support the comfortable lifestyles of the hierarchy.